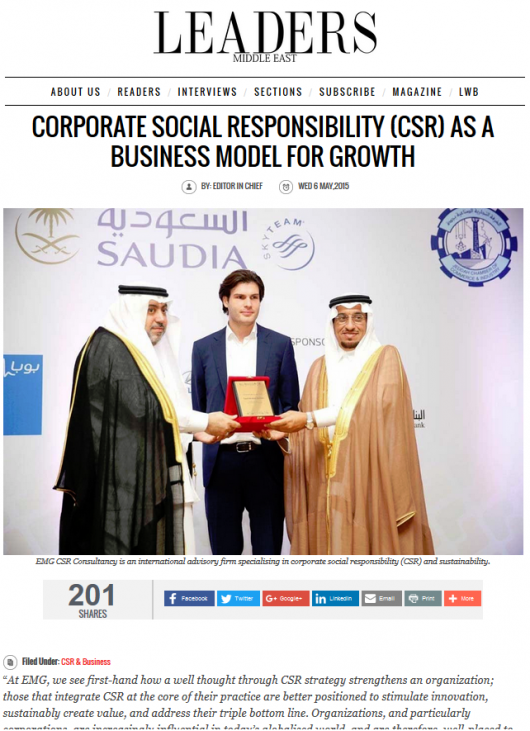 CSR reporting should have meaning, it should have purpose. The benefits of reporting are tangible, but only if conducted in such a way that reporting becomes a tool for change. 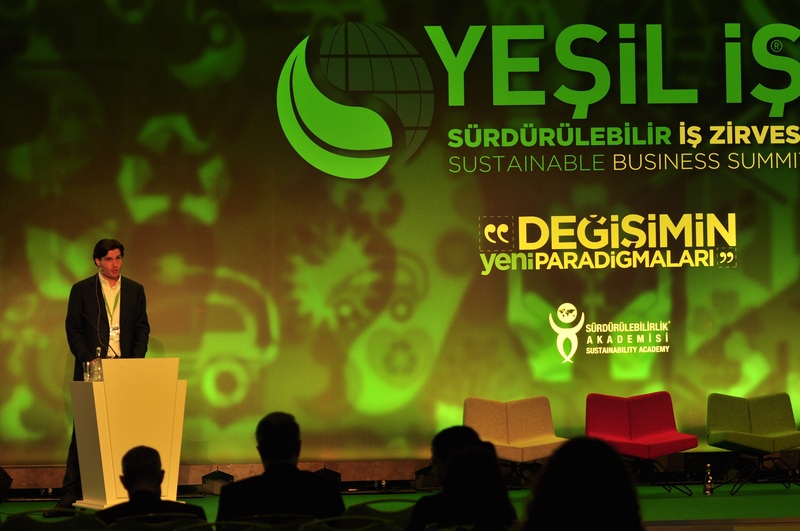 This was the key message of Elffers’ keynote speech during the Green Business Summit in Istanbul last week. It is the highest profile event to run in the region attended by over 1,000 sustainability professionals. Elffers referred to a 2012 report of the top 100 companies with the best reputation for CSR, which, rather paradoxically, included a manufacturer of fighter jets and pursuit missiles. Surely, he pointed out, CSR should not only be about how a company spends its profits, but how it generates its profits. Taking a more recent example, Elffers mentioned the recent turmoil around Volkswagen; a result of CSR reporting gone wrong because of a much stronger corporate culture of profit. Elffers stressed the need for understanding the bigger picture – we are all contributing to something so much greater than our own agendas. We live in an era where what gets measure, gets managed. Financial reporting has long been mainstream but natural and social capital reporting can offer an equally, if not more, invaluable insight for stakeholders and investors – spearheaded by thought leaders such as Gerrit Heyns, a member of EMG’s advisory board. Elffers’ spoke of a hypothetical business, managed in the way we currently manage our natural and social capital. “We’re depleting every single resource without actually creating long-term value. Surely this is not sustainable, we are bankrupting the earth” or, as a previous speaker at the summit said, “we are stealing from our children”. Elffers continued by saying that we need to recognise that merely slowing down our resource consumption is only slowing down the inevitable; we need to scale up our ambition. Simply looking beyond the next quarter and taking a long-term view will encourage a change in perspective and a more informed understanding of our consumption patterns; everything is interconnected. “We need to understand the risks behind the accumulation of short-term thinking, because the decisions we make today will factor in the outcomes tomorrow”. As Jo Confino, moderator of the Summit emphasized, we need to focus on achieving 100%, not just incremental improvements of 20, 50 or even 80%. We need to set our goals to 100% and then work backwards. Elffers pointed out how this could be reflected in CSR reporting; instead of a company focusing on its reductions, it can identify how much water it has cleaned, how many materials it has recovered, and how much renewable energy it generated. 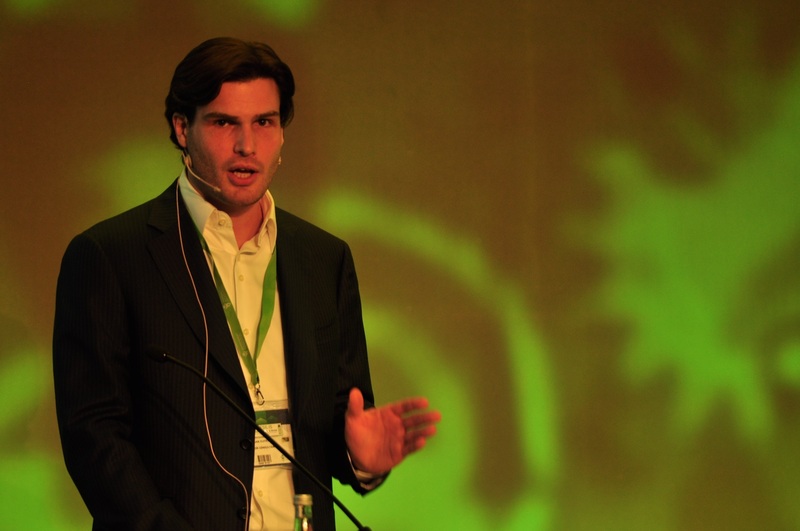 “We need to start viewing sustainability as an opportunity – something to get excited by” – Elffers. As part of an ambitious CSR strategy, CSR reporting can be an invaluable tool for a company’s creativity and innovation, and a source of huge competitive advantage. Elffers’ highlighted the positive and increasing trend towards integrated reporting, where social and environmental dimensions are integrated into the wider, financial objectives of the business. “Only by elevating the status of sustainability to that or above profit, will we see real change. 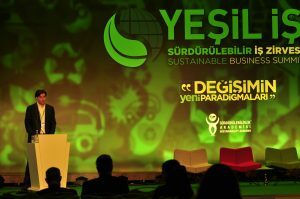 By integrating ‘people, planet and profit’, known as triple bottom line reporting, the interconnectedness of our choices become visible and this can facilitate better decision-making”. Also important is the need for CSR to be aligned with the business’s core functions and culture; what does the company aspire to achieve, how well positioned is it to meet this achievement? This can be especially relevant for companies that do business internationally, and need to consider local values and practices, and meeting local needs. Many mainstream CSR reporting tools are designed to be ‘one size fits all’, but in reality, that’s quite unrealistic, with the effect being to divert the organization in a direction different to that which could provide real opportunity. “It is critical that a company stays in charge of its CSR agenda and builds on its own strengths. Businesses typically run accordingly to KPIs and other, similar target mechanisms. The same could be applied to CSR reporting for they can provide that much needed impetus to raise our standards” – Elffers. The take-home message from Elffers’ talk is an encouraging one; CSR reporting, when impact-oriented like a financial report, is a stimulant for change and progression. It is a tool for financial, social and environmental sustainability. Drs Daan Elffers is the founder and CEO of EMG Group, a leading international CSR and sustainability consultancy that offers CSR strategy development, CSR training and CSR workshops to business.